Will Sierra Leone get a new airport? HomeNews in PerspectiveWill Sierra Leone get a new airport? December 21, 2013 Abdul Rashid Thomas News in Perspective Comments Off on Will Sierra Leone get a new airport? There is a strong argument as to whether Sierra Leone honestly needs a new international airport. Those arguing for a new airport, the cost of which is estimated at over $400 million – including the government, say that the existing airport at Lungi is old and has served its useful purpose. (Photo: Lungi airport). But the views of realists arguing against the construction of a new airport at this time, with the majority of citizens struggling to survive, say that notwithstanding the exorbitant cost of constructing a new airport, Lungi airport is not suffering from the lack of capacity and its full potential is yet to be exploited. What the country needs – they argue, is for the modernization and refurbishment of Lungi to continue and professional management put in place, without political interference. Those arguing against a new airport also say that the country needs private investors with a clear and forward looking vision, who will purchase and run at least three modern and seaworthy ferries across Lungi to Freetown. The road network across Lungi airport to the ferry terminal is regarded as the gateway to the capital Freetown and is in desperate need of redeveloping. And so is the need for private investors to invest in shuttle bus services from the airport to the ferry terminal. The terminal building should be privatized, so that investors can rebuild and offer first class services at the terminal building, including vehicle parking and toilet facilities, restaurants and a clean and comfortable waiting lounge. Do all of those, protagonists say, and you would have solved the problem of Lungi airport, without spending a fraction of the proposed $400 million for a new airport at Mamamah. Will the government listen, or is the president and his ministers being dragged along by the Chinese who are quite happy to see Sierra Leone’s debt to China grow even further? As John Baimba sesay reports from Beijing – China, ministers are clinging fast on to the tail coats of Chinese investors in order to have president Koroma’s dream of a legacy airport come true – at any price. 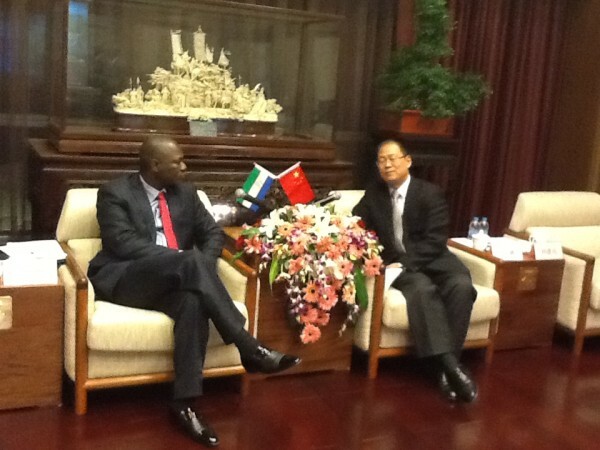 Sierra Leone’s Minister of Finance and Economic Development – Dr. Keifala Marah and the Transport and Aviation Minister – Leonard Balogun Koroma, on 17th December, arrived in the People’s Republic of China to hold further discussions with EXIM Bank of China and China Railway International on the construction of the Mamamah International Airport. They were also scheduled to discuss the Hunan Rice and rubber agricultural project. The Export and Import Bank of China-(EXIM Bank) is the world’s third largest export credit agency, with a mandate to “implement state policies in industry, foreign trade and economy, finance and foreign affairs”. The vast majority of infrastructure financing arrangements done by China in Africa are financed through EXIM Bank. China Railway International Co., Ltd (CRI) is a subsidiary of China Railway Group Limited (CREC) – a large integrated construction group that covers survey and design, construction and installation of industrial manufacturing infrastructures. CRI has been contracted for the construction of the proposed new airport at Mamamah,in the Port Loko district. The ministers also held discussions with the China Kingho Industries on the proposed Deep Sea Port and Railway projects in Sierra Leone; and with China Poly Group industries and Zhong Tong Bus Company on a package to supply buses to boost public transportation in Sierra Leone. Discussions also included the rehabilitation and equipping of the Sierra Leone Road Transport Corporation Garage and Workshop facility; the supply of a well equipped mobile workshops to repair buses broken down on roads and highways; the establishment of a well equipped spare parts shop at the Corporation; and the rehabilitation and re – establishment of a functional training centre to train drivers and mechanics. On Tuesday 17th December, the Minister of Transport and Aviation and team travelled to the Shandon Province, where they were taken on a 2 hours conducted tour of the Zhong Tong bus complex, factory and production line. The Zhong Tong bus company is presently the second largest in China. With the completion of its ongoing construction of a 500 million United States Dollars factory complex, the company will graduate to become the largest in the whole of China. Presently it produces over 100 brands, including Toyota Coaster passenger buses and exports their products to over 75 countries in Western Europe, Eastern Europe, Australia, the Middle East and Africa. On Wednesday 18th December, the Ministers of Finance and Economic Development and Transport and Aviation, together with Ambassador Victor Bockarie Foh and other members of the delegation held a very successful meeting with the President of the Export- Import Bank of China, Li Ruogu, focusing on several projects the Bank is financing in Sierra Leone. Li Ruogu conveyed greetings to His Excellency President Ernest Bai Koroma and recalled the two meetings he has had with President Koroma discussing developmental projects for Sierra Leone. The construction of the new airport is a top priority project for the Government of President Ernest Bai Koroma. 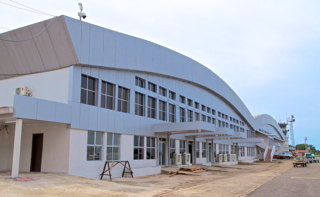 The new airport will help in bringing about economic growth for Sierra Leone, with work expected to start early 2014. During an interview with the Press and Information Office of the Sierra Leone Embassy in November, Sierra Leone’s Foreign Minister -Dr Samura Kamara disclosed that the original airport project was designed along a financing package of 200 million dollars; but on the intervention of Government, the wish of President Koroma is for the country to have a modern airport that will stand the test of time. The president would like to see an airport that will be able to accommodate Sierra Leone’s potential for heavy air traffic, given her strategic location in linking up with Latin America, Southern Africa, Europe and certainly East Africa, Central Africa and North Africa. “The cost went up to 300 million dollars to the extent that there is already an indicative cap on the initial cost of the airport” said Dr Samura Kamara. He also informed that, “what the President of the EXIM Bank advised was that we look at his concessional preferential window so that we have a blend; that is a mix of both concessional and non concessional and they are ready to stand by us so that we get this financing as quickly as possible to be able to commence the project before the end of the year”. Since his appointment, the Minister of Transport and Aviation – Hon Logus Koroma has been vigorously pursuing major development projects in his ministry, including railway and the proposed airport. 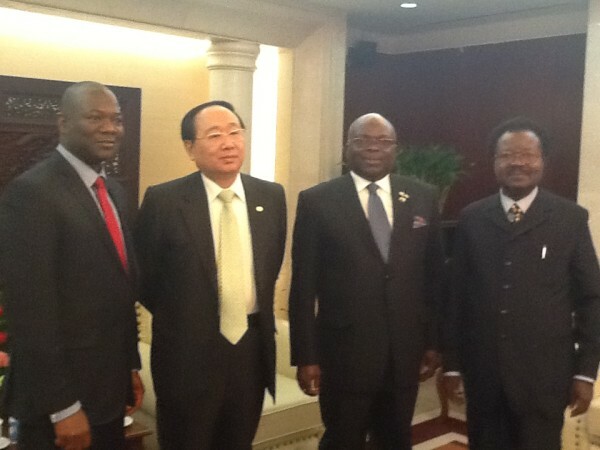 Both ministers Koroma and Marrah were accompanied to China by the Permanent Secretary of the Ministry of Transport and Aviation – Mr. Sahr Kpulum, the General Manager of Sierra Leone Road Transport Authority – Mr. Bockarie Lewis Kamara, the Mamamah Airport Project Director – Mr. Morlai Buya Kamara.